For over 30 years, we have been providing premier specialty insurance to businesses and commercial transportation companies across the United States. We are committed to focusing on the unique needs of our policyholders and delivering extraordinary service and support to help them succeed. To see other events we’ll be attending, please visit our Roadshow Calendar. For more information on how to protect your vehicles, drivers, passengers and your company’s reputation, please login to our Loss Prevention portal. 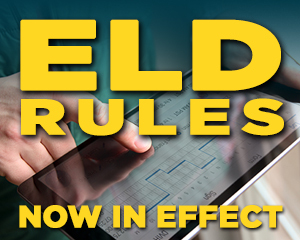 New driver training rules rules start 2/7/2020. Will you be ready? Is your business prepared for any natural disaster? Are you compliant? Visit our ELD page for valuable information.